April is our anniversary month; the clinic began in 2004 or 14 years ago. Over the years, we have provided healthcare for thousands of people who place their trust in us for their simple healthcare needs. We have updated our tables, to show the activity that is generated; through our medical and dental care plus our outreach of milk distribution to babies/toddlers. Thank God, that we are able to provide this outreach to the people surrounding Jocotan/Camotan. 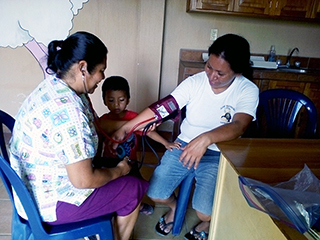 Servant Ministries began a medical clinic in April of 2004. We saw the need to provide medical care at affordable prices to the people from the mountain villages. There are local health departments that provide free medical attention, but for the most part they don’t have the medicine that is needed to treat the people. Putting a name on their condition without providing the means to alleviate it is of little use. People from the mountain villages are also apprehensive about going to the local health departments. Situations have improved in recent years, but in the past there were real “caste issues” between seeing a patient from the town and seeing one from the mountain village, who are from more pure Mayan descent. 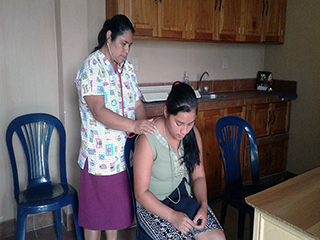 We try to treat each patient that comes to our clinic with the respect and love of God that they deserve! Servant Ministries hosts short term medical teams that come and do outreaches in the remote mountain villages, taking the clinics to the people for one day outreaches. They leave behind their left over meds and this is what allows us to operate the on-going medical clinic for the ministry. Our current schedule is to be open 3 days a week. We have a nurse who operates the clinic and she deals with all of the chronic on-going health issues and we stock the necessary meds to help the people. We are able to offer testing for glucose, breathing treatments and coordinate with a lab when lab tests are necessary. Also, Ana, our nurse, is a Christian and can many times offer encouragement, counsel and prayer to our patients and they leave having been treated for the “whole person”. The people pay a minimal fee (equivalent to 2 hours of work at minimum wage) for their consultation with the nurse. This helps to pay for the nurse and receptionist’s wages. Then the meds are given without cost. We run a small store at the clinic as well, to help offset the costs of the clinic and to keep fees charged to a minimum. As of October of 2007, we began to offer dental service at the clinic as well. 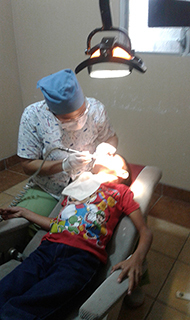 We have a local dentist come every Saturday who does extractions, cleanings and fillings at cost. We have seen a tremendous response to this outreach and have appointments made usually for up to 2 months in advance. People have had chronic teeth problems, many times for years, and it is a real blessing to be able to give them a pain free mouth and to help teach them oral hygiene. In December of 2009 we dedicated a new clinic building to house our medical/dental clinic. It has much larger exam rooms for both medical and dental consultations plus 2 bathrooms, a very large reception/store area and nicer ambiance. The surrounding security wall was brought up to full height. The larger facility allows us to use the reception area to function as a store as well. We sell hygiene products, clothes, toys, school supplies and more. The clinic does not generate enough funding to keeping it running or pay its staff. This store provides the necessary funding to keep our doors open. In 2010 we became an outreach to babies and toddlers; providing milk to those who are malnourished. Baby formula is like powdered gold and literally keeps these babies alive. Even the local health department sends babies to us that are in need of receiving baby formula, as they do not have the ability to provide it. Toddlers receive full cream powdered milk. We are always in need of donations of both of these types of milk. In 2012 we added optical care to our clinic’s offered services. We are able to give full eye exams and have thousands of refurbished glasses, provided by a Lion’s Club, to hand out at no cost to the people. In 2013 we built two storerooms that house our supply of medicine and the inventory for the store. 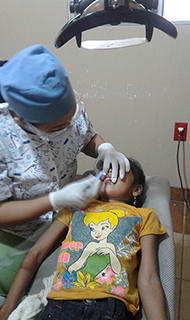 We reach out and help thousands of people each year through the clinic’s many services. If you are interested in helping, please communicate with our US office by calling (810)385-4338 or writing an email to nancy@servantministries.net. 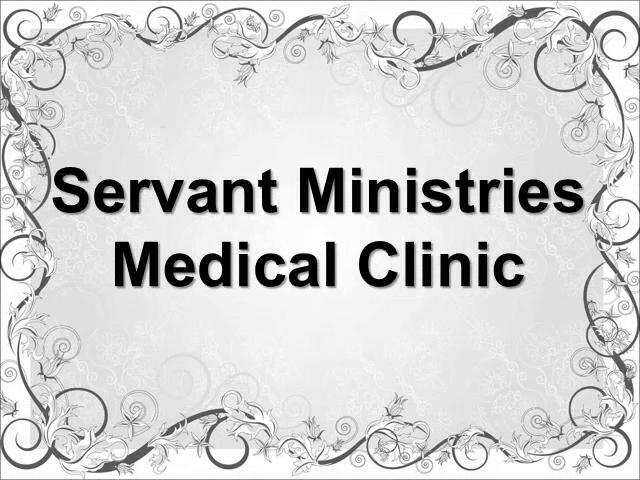 April is our anniversary month for the ministry medical clinic. It began in April of 2004, so we are now 14 years old! We continue to have a great influence on so many people who trust us with their health care needs. Our Embrace children have free access to the clinic whenever they have needs and most really take advantage of it. 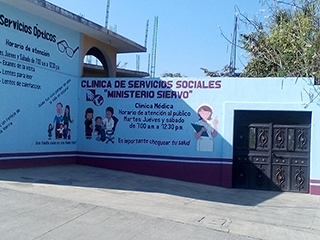 Our medical clinic was started with the vision to give quality care to each patient that comes to us and to show them respect and the love of God as we minister to their needs. The fact that people come back, over and over again, speaks to their feeling comfortable in the environment and care that we provide for them. 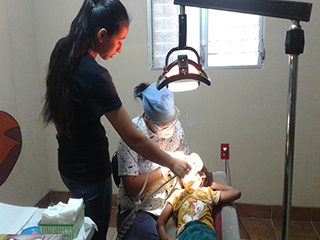 Our dental outreach continues to reach out to many people and provide the basic services to do cleanings, fillings and extractions. Our Embrace children are the ones who mostly fill up our schedule as we only have a dentist that can work on Saturdays. 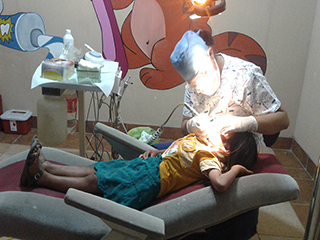 We require the Embrace children to have an annual cleaning, trying to educate the parents of the need to get into preventative oral health care and not wait until extractions are needed. We sometimes take parents of our Embrace children when they have need of a dental appointment, or others from town, as we have the appointment times available to do so. Our fees are about half of what you would pay at other clinics; we are just trying to cover our expenses. We are posting an annual chart to show you the dental activity that happened in 2012, although it also reflects a maternity leave on the part of our dentist. The following table shows the activity of our “Dental Services” that were provided in 2009. 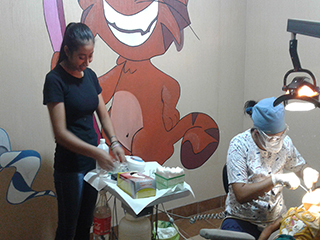 Remember that the dentist is only working on Saturdays, so we believe that we have been able to reach a lot of people through this outreach at the ministry’s clinic. Funds were raised in Graham, TX (through a Presbyterian church and local LIon's Club) to purchase a new piece of equipment called an Auto-Refractor. It was ordered and had to be shipped from China, but has arrived to Texas. This is a table top piece of equipment that is used to give an eye exam. We currently have a portable piece of equipment that does the same thing but this new tabletop style will be great for use in the ministry medical clinic and gives less margin of human error. The portable equipment gives us the freedom to go to a mountain village to do eye testing, so both will be utilized. The new equipment will be hand carried down by a team that is scheduled to come in December. This team will be going out into some villages to do both eye testing and dental care. This will be the first time to take the eye testing to an off-clinic site and we look forward to seeing how we can bless the people who have visual needs! In 2010 we started an outreach to babies and toddlers in need. Our Embrace (Child Sponsorship Program) starts with children of 4 years of age and older. Sometimes we find younger children that have great need, and we wanted to develop an outreach to help them. We give baby formula to babies who are malnourished. Sometimes a mother dies in child birth and family members are left to care for the newborn. Buying formula is not an option as the people do not have the resources to make that kind of a purchase. Sometimes a mother just doesn't have an adequate milk supply; usually in part to her own poor health. We encourage her to nurse but we supplement her milk supply. The babies are brought to the ministry clinic once a month, to be monitored and weighed so that we are assured that the baby is improving in their health. Full cream powdered milk is provided for toddlers who are malnourished and monitored in the same way, on a monthly basis. We have a new outreach that we are wanting to take on; that is an outreach to babies born with cleft lips. We have recently received interest from a surgeon that would like to come do surgical procedures on babies with cleft pallets and lips. It made me think about the fact that you do not see small children with this problems and it got me thinking. Unless we can help these babies when they are tiny......they will die! They cannot nurse and latch unto their mother's breast, even if she does have a milk supply. Baby formula and special bottles are needed to allow these babies to be nourished and maintained; until surgery can be done. This outreach will literally save these babies lives! We will keep you posted on this site on cases that we are doing. 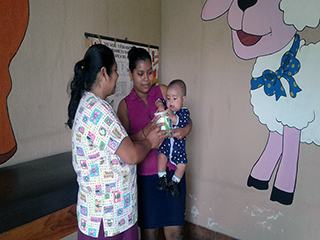 We are always in need of donations of baby formula or donations that allow us to do the purchase of formula in Guatemala; which is even a better option! Donations can be made to "Servant Ministries" and sent to PO Box 596073 Fort Gratiot, MI 48059 and designated for "baby formula". Hep us reach out to these precious little ones to "give them life"!